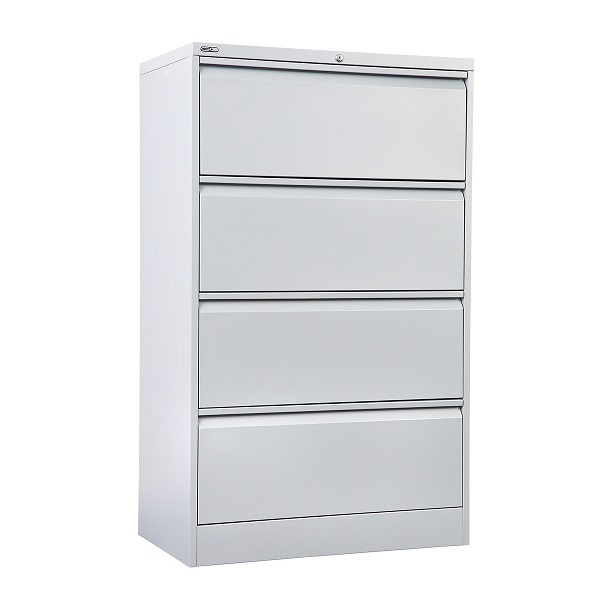 Our metal lateral filing cabinets are available in 2,3, and 4 drawers. 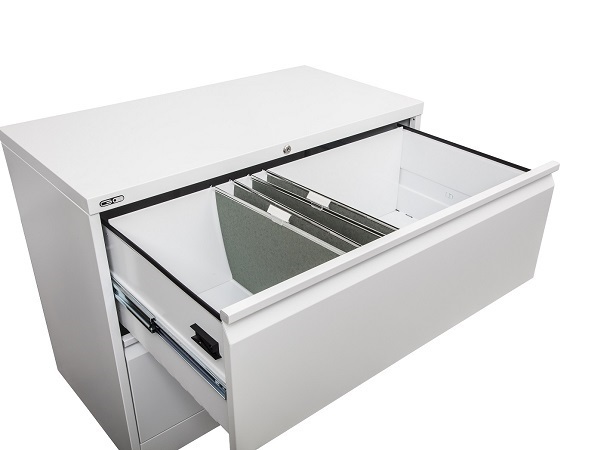 Each drawer has 100% extension opening to maximise filing space. An anti-tilt locking devise is fitted which prevents a second drawer being opened. Every drawer has 2 cross bars to facilitate A4 or Foolscap suspension filing with an option of filing front on or side filing. These cabinets are built to last with premium features and a 10 year manufacturers warranty. Premium quality, commercial side or lateral filing cabinet for high volume filing. Fully lockable with anti-tilt mechanism and heavy duty drawer runners. All steel riveted construction with powder coated exterior finish. 4 Drawer Lateral Filing Cabinet. 40 kg Drawer Capacity. 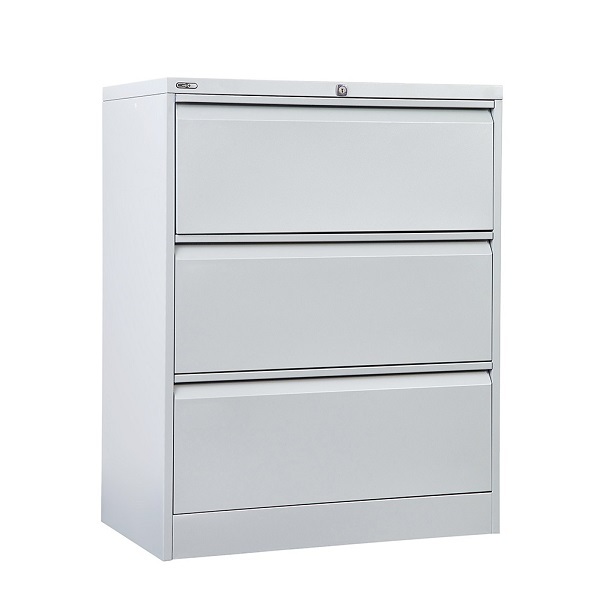 3 Drawer Lateral Filing Cabinet. 40 kg Drawer Capacity. 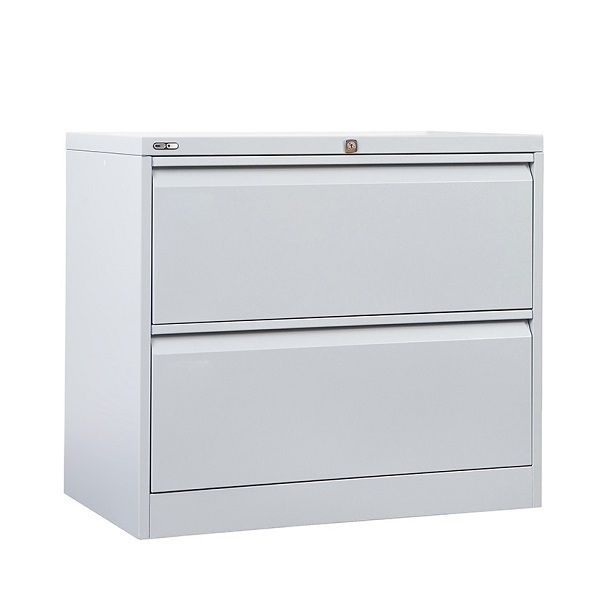 2 Drawer Lateral Filing Cabinet. 40 kg Drawer Capacity.